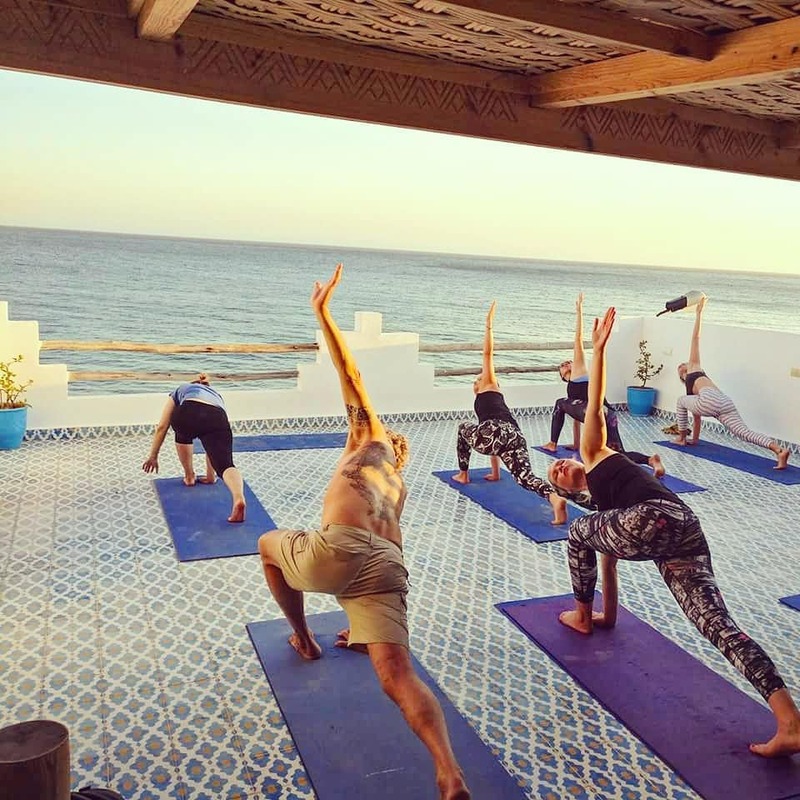 Running a surf camp in Taghazout has definitely become a much more serious business than it was a decade ago when we first got going. Back in the day if you had a van or a 4*4 and some boards, you could rent a house or couple of apartments and work through the Winter and via a simple website or fb page, or just a couple of travel agent partners expect to get guests all through the season. 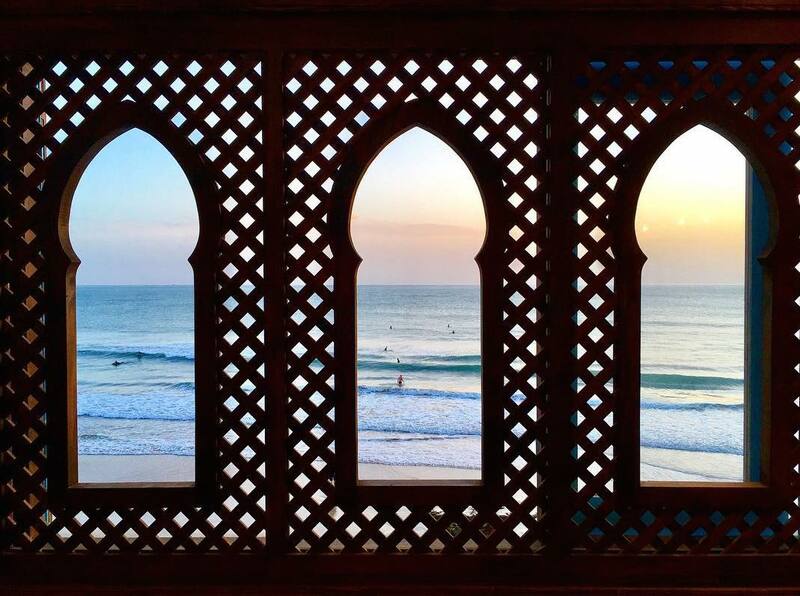 Recently there has been an explosion of surf schools and surf camps in Taghazout and Tamraght and with them a wave of investment in the area. Gone are the days that a lick of paint will do, now there are new hotels, golf courses, jet skis, pleasure boats, all sorts. Tudor and I decided last year to invest in our cafe building. We’d previously tried to do some building work there before and always been blocked by the local authorities but the commune gave us the all clear. So we completely redid the cafe and the yoga studio and expanded the office to be a fab space with fibre internet and some co-working space. Sure it isn’t WeWork in scale, but the location and view is still hard to beat (and it still has fibre internet). This Summer, we thought we’d do a bit of work on the outside of the cafe. Again, previous attempts had been blocked, but the Commune were telling us we could get on with it again so we set about tidying up the terraces and the walk way for the general public. Finding the tiles proved to be the hardest part, trips to Agadir and Marrakech proved to be pretty uninspiring, but we struck gold in Essaouira. 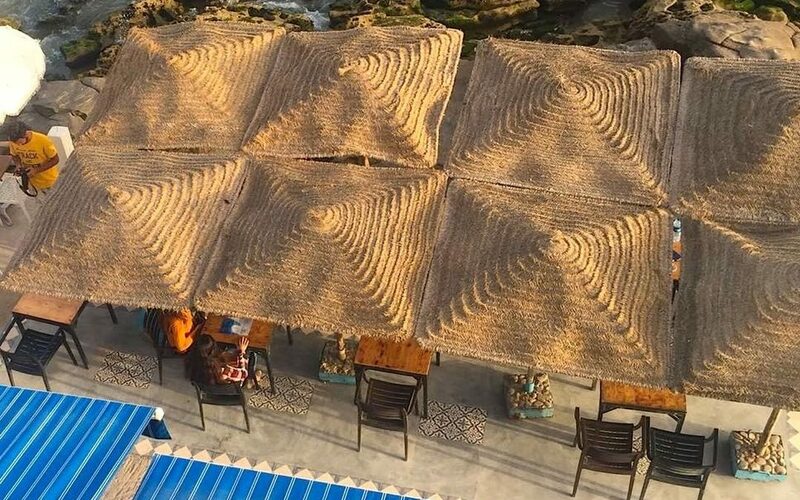 Don’t get me wrong, Moroccan tiles are all pretty fabulous, but after looking at the same patterns for over a decade, it’s sometimes nice to find something a bit unique, something different that hopefully will make people feel they are enjoying something special. After lots of debates on the best arrangement of the tiles, we settled on a plan and over June and July set about creating a smooth concrete finish surrounded by a band of tiles. 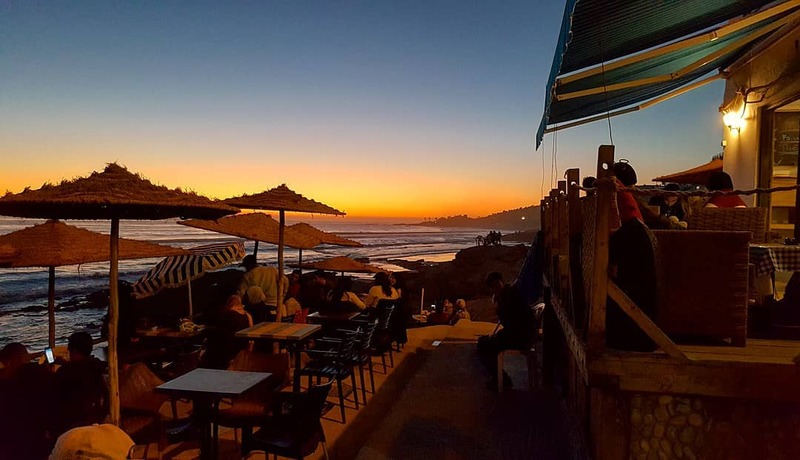 Our cafe will never have the polished service of some of the more expensive ones in Agadir or even Taghazout, but hopefully the charm of the location and setting combined with a service with a smile (although admittedly a bit slow), should always mean we are the best spot to come and enjoy your sunset coffee.